Nationwide January is known as National Restaurant Month. I guess they figure that after the holidays, January is the slowest month for eating out. Throughout the country cities and restaurants try to alleviate that with special restaurant weeks. 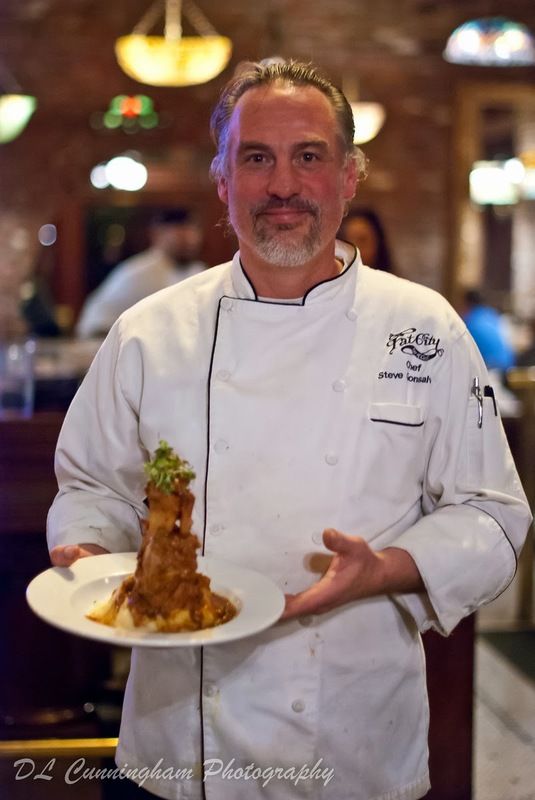 Here in Sacramento our Dine Downtown week runs from January 8 - 17. This year there are 28 restaurants participating with $31 prix fixe menus. 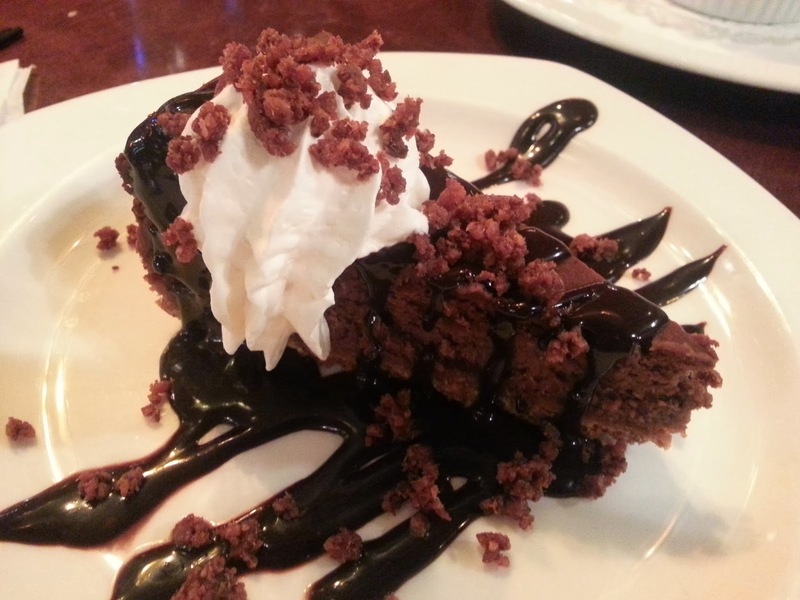 You get three courses with choices of appetizers, entrees, and desserts. The Downtown Sacramento Partnership, which promotes the event, was kind enough to ask to do a preview again. As usual, I reviewed the menus looking for creativity and something other than steak, chicken, and pasta. This year I chose Fat City in Old Sacramento after their duck breast caught my eye. I love duck. By the way, the reason for that extra dollar...it's going to California Food Literacy, an organization close to my heart. They educate low income children on healthy food choices. So eat out and give them that extra dollar! 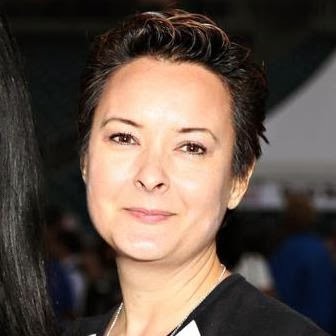 As my guest I took Debbie Cunningham, who has been photographing most of the best restaurants in Sacramento. That's why her pictures look so good compared to mine. We arrived to find that Old Sacramento was still bustling with tourists or visiting families. The Christmas lights were still up and made me wish I had come down to see the light show they had during the season. Maybe next year. Fat City was busy as well. We were seated near the entrance and I was happy that there was no issue with lighting as FC is brightly illuminated. Our server was Jennifer, who was very friendly and impressed us with her drink carting skills. She's got some dextrous fingers for holding multiple glasses in one hand without spilling! As we discussed the menu she explained that their latest chef is Steve Gonsalves and that he's been the most creative chef they've had. That was apparent by reading the DD menu. For the appetizer course we got a choice of salad or seared scallops. 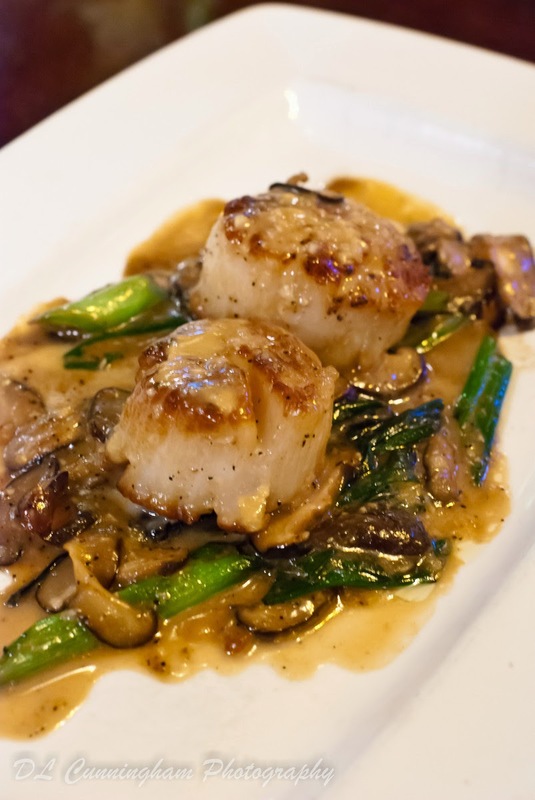 We both chose the scallops, which were nice sized and perfectly cooked. Under them is shitake mushrooms and the sauce is a sake miso garlic butter. 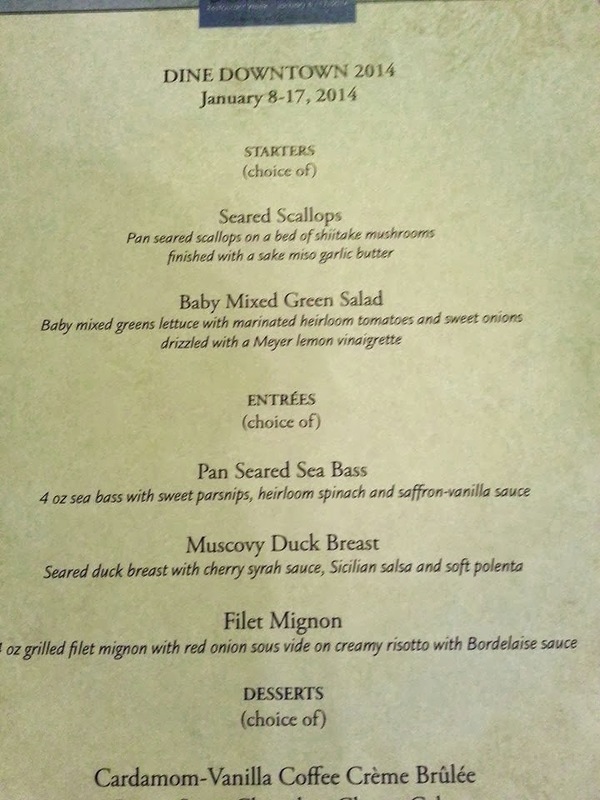 The entree course was a choice of sea bass, duck breast, or filet mignon. The steak was the least interesting. 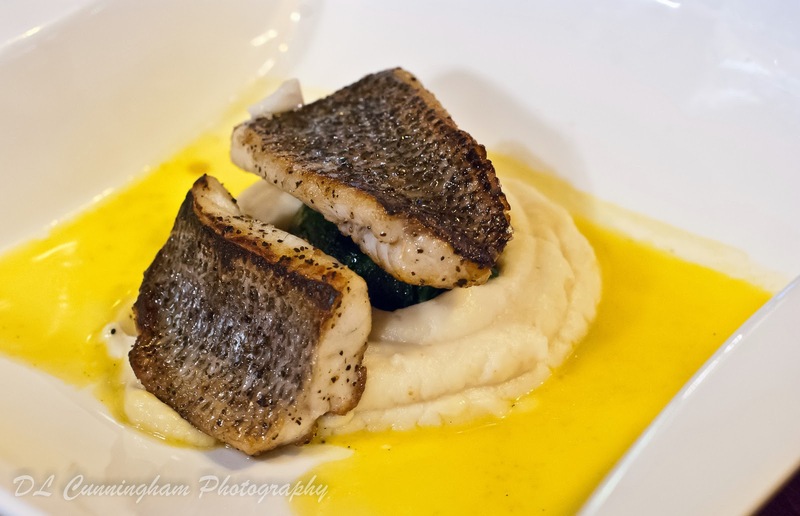 Debbie chose the sea bass with a parsnip puree and a vanilla saffron sauce. 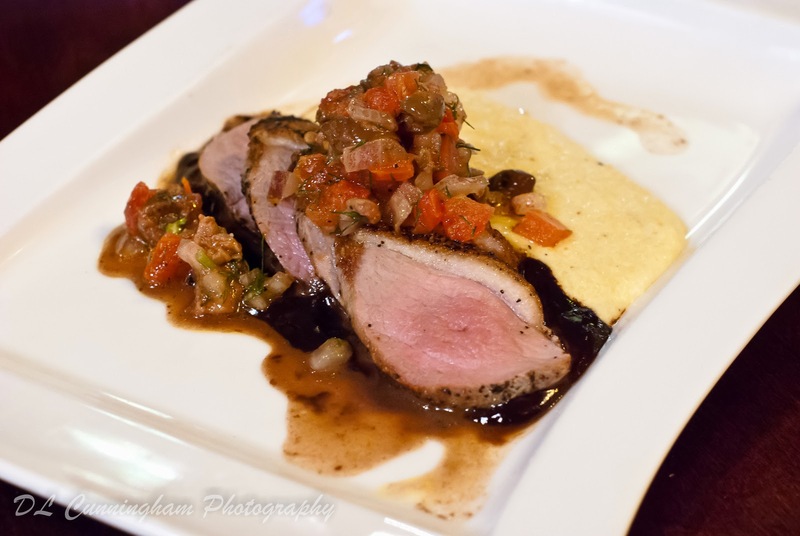 I, of course, got my duck breast with on polenta served with cherry syrah sauce and Sicilian salsa. Wish I had known that meant olives, as I don't like them. Those got pushed to the side. But the duck and the sauce were lovely. 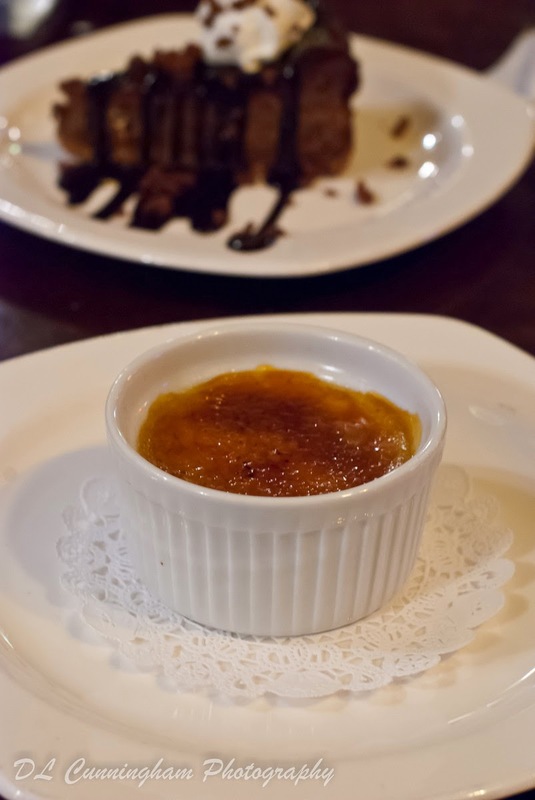 For dessert, Debbie chose the cardamom vanilla coffee creme brulee. As I don't drink coffee all I could taste was coffee, but Debbie said she did taste the cardamom as well. I went with the bacon stout chocolate cheesecake. The cheesecake had nice flavor but I could have done with less candied bacon as I thought it overpowered the cheesecake. During our meal we had noticed an eye catching entree being served to the table next to us. As we started on our desserts, the chef appeared with a plate of it for us. He'd heard we noticed it and brought it out for us to try. I thought it was a lamb shank, but it turns out it's a pork shank that he braises at a low temperature for 24 hours. It's one of Fat City's signature dishes. Chef explained that that he'd done his externship at French Laundry and had worked in Texas before returning to California. If you are like me and want to try something more creative, then stop by Fat City for Dine Downtown. Disclosure: This was a comped meal and so should not be considered as an unbiased review.